The Short Version: From 2009 to 2013, professional matchmakers JoAnn and Steve Ward hosted VH1’s “Tough Love.” Over the course of six seasons, this mother-and-son duo showcased their talent for encouraging, advising, and sometimes giving a reality check to people looking for love. When not in show business, the duo runs Master Matchmakers to help singles find a relationship through matchmaking and date coaching. Master Matchmakers offers personalized advice and vetted matches to singles nationwide. Today, the team has also innovated a mobile application called Love Lab that authenticates the identity of a stranger before you go on a date. In all aspects of dating, the Ward family supports greater truthfulness and trust. In 2003, Steve Ward thought he was on his way to becoming an investment banker. He was 22, just out of school, and about to start his career, but first he decided to help his mom out with her matchmaking business. JoAnn Ward had a talent for dealing with people, but not with technology. She was still using filing cabinets, and her son wanted to upgrade her to an online database and website. He expected it to be a quick job. Then, when a prospective client asked him for a male’s perspective, he conducted his first intake interview and began to suggest matches. He met with the client and matched her up on a first date. She and her date hit it off and were soon engaged to be married. Steve’s very first introduction was a rousing success, and just like that he was hooked. A second generation matchmaker and CEO at Master Matchmakers, Steve guides people toward fulfilling relationships with honesty and authenticity. He is well-practiced at giving advice to singles. Alongside his mom, he co-authored a book called “Crash Course in Love.” In all his endeavors, he hopes to improve the dating experience for singles. After hitting it out of the park on his first try, Steve Ward joined his mom in the matchmaking business. Master Matchmakers conducts face-to-face interviews and background checks to thoroughly get to know clients before sending them out on a date. Certified coaches and licensed therapists act as personal coaches and a dedicated team of full-time matchmakers work side-by-side with these coaches to ensure conscientious, hand-selected introductions coupled with personalized advice from decades of professional experience. 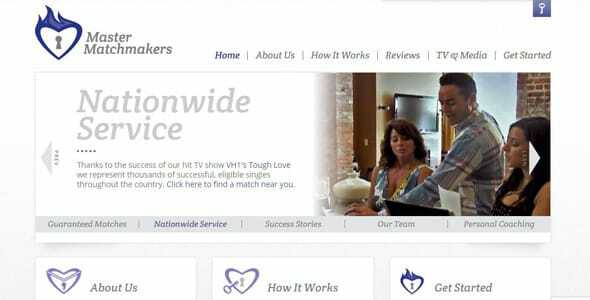 With the help of a widely viewed TV show, “Tough Love,” this small regional matchmaker expanded into a nationwide boutique, serving singles in all 50 states. Today, by using technology to improve the dating life of singles, Steve has pioneered a mobile application called Love Lab, which will verify a person’s photo, authenticate their identity with a personal knowledge quiz or cell phone lookup, and run a criminal background check as well. Upon joining Master Matchmakers, Steve used his business instinct, social intuition, and flair for telling it like it is to showcase all that a matchmaker can be and do. As a result, he and his family soon garnered much publicity and attention, culminating in VH1’s reality television show “Tough Love,” which ran for six seasons. From 2009 to 2013, Steve and his mom hosted and produced this show about singles and couples in various stages of dating and relationship crises. They’re straightforward individuals who know how to get results. After season one, Steve recognized the helpfulness of a love bootcamp, of hearing from someone who will tell you the truth about yourself and your relationships. 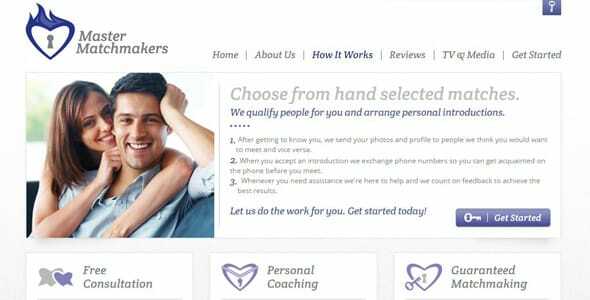 He decided to add a date coaching service to complement and bolster their matchmaking. The popularity of the television show and the growth of the Internet at the time allowed Master Matchmakers to syndicate their services nationwide. Master Matchmakers has changed quite a bit since 2003, when uploading and transmitting pictures via a computer was tedious and cumbersome. Back then, it was an industry standard that matchmakers wouldn’t show their clients pictures of their potential date. The client had to trust their professional assessment of attractiveness and compatibility. Now technological advances allow Steve and his team to delve much deeper and provide so much more than just a picture. Down to the last detail, these matchmakers want to know everything so that they can make an informed match. A full bio and background check is standard operating procedure for this proprietary matchmaker. Master Matchmakers caters their services to fit the individual client’s needs, skill sets, and budget. Bringing personalized service to the entire country, the Ward family is able to help hundreds of eligible singles find the person of their dreams. An egalitarian matchmaker, Steve rejects the idea of an antiquated business model where men pay exorbitant prices to meet women who pay nothing. Master Matchmakers treats women fairly and respectfully. These matchmakers advocate for you. Their job is to arrange introductions with compatible and vetted individuals. Clients agree upon a certain number of introductions beforehand, and the matchmakers come up with a tailored strategy backed by decades of experience in the dating game. Master Matchmakers take their time interviewing and getting to know their clients so that they can make better matches. The point, Steve said matter-of-factly, is to get rid of the client by pairing them up with a compatible match. Sometimes this means giving some advice (or a strongly worded reality check) to clients. The mindset of the single is just as important as the personality of their date. Before taking on any client, Master Matchmakers thoroughly investigates that person’s background. This includes everything from social media profiles to criminal history. The team has a wealth of data at their disposal to make sure that all their clients are on the up and up. Master Matchmakers only represents people after vetting their background. Anyone who signs on agrees to such an arrangement. Fostering trust and honesty, these matchmakers ensure that their clients are upstanding individuals worthy of being matched. This unique feature gives the team a competitive edge for singles looking for some added security and in-depth research. 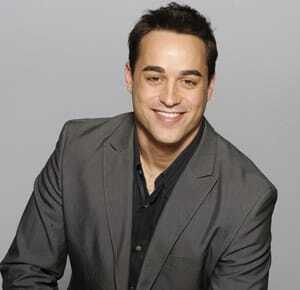 Recently, Steve has taken on an ambitious endeavor, creating a dating resource for singles. He’s taken the verification technology used by Master Matchmakers and condensed it down into a mobile app called Love Lab. Now anyone can go online to confirm the identity of a date before meeting in person. This is an important product for singles who put themselves at risk by going on a date with someone they don’t really know. Love Lab verifies a person’s identity, photo, social media, and age as well as conducts criminal and financial background checks. Love Lab uses Master Matchmakers’ vetting techniques to bring the modern dater some peace of mind. Before going on a date, users can login to find out if someone is who they claim to be (and what they claim to look like). This free mobile app was launched in September 2013 and has been expanding its reach ever since. The app lets users self-verify their own identity and check up on the identity of someone else. Soon you can enter a phone number, email address, or username associated with a Love Lab profile to see if someone you met online has already been verified. Everyone must verify their own details. You can verify your photos, for instance, by taking and uploading an instant selfie to Love Lab that is measured and compared to your profile photos for likeness. With a thorough and conscientious verification process, these dating innovators hope to create a product that reduces the dishonesty, fraud, and risk rampant in online dating. Master Matchmakers is a family-run business. JoAnn Ward is the President, her son is the CEO, and her daughter is the Executive Director of Client Relations. Many of their matchmakers and date coaches have been with the company for years and are deeply invested in the success of every client. JoAnn has a vibrant personality that sets the tone for the company as a whole. The Ward family is all about telling it like it is and helping people by being direct. Steve and JoAnn may not agree on everything, but they are both committed to helping clients find love. Recently, Steve has taken more of a step back from client work to focus on the development of the Master Matchmakers business and expansion of the Love Lab application. He lets his mom take the reins on the client side, even though they don’t always agree about the proper approach. That agreement has proven to be beneficial to all involved — this mother-son team balances each other out to provide daters personalized assistance and technological convenience. Over the years, Steve has witnessed many success stories of happy couples who met, bonded, and found love thanks to Master Matchmakers. Their client reviews page is full of testimonials from satisfied customers. He told us about a particular young woman who was smart and successful but in need of some guidance in her love life. Steve took her on as a client and began coaching her to be more open-minded. He matched her with a few single guys but hadn’t found a perfect fit. Taking on dozens of clients per month, Master Matchmakers has many successes under their belt. Her ex ended up providing her pathway back into love. He suggested she meet a friend of his. The catch was that this friend lived in Seattle while she lived in New York. However, she’d been coached to be open-minded to opportunities, so she agreed to give it a chance. After a series of successful dates, she wound up moving to be closer to this man, who is now her fiancé. Instead of becoming an investment banker, Steve Ward has used his talents as a businessman, spokesperson, matchmaker, and date coach to propel Master Matchmakers into the technological age. Their newly designed app, Love Lab, is the next step in providing singles a safe dating environment with complete background checks. With upfront advice, hand-picked matches, and verified dates, Steve looks to corner the market on dating from start to finish. “Our focus is really being able to provide helpful resources to people in the entire dating ecosystem,” he said. If the high praises of his former clients are any indication, he’s been tremendously successful so far.